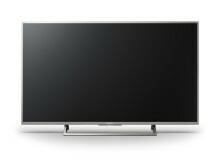 Sony announced a new XE70 4K HDR TV series. 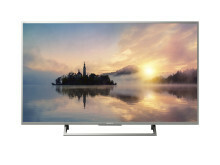 The latest addition to its TV line-up is a perfect offering for anyone looking to step into the dazzling 4K HDR world of film and TV content. 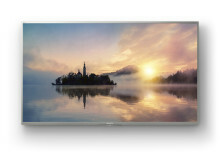 With hundreds of hours of new and classic films, popular and exclusive TV series and concerts on Netflix or Amazon Video, 4K HDR has emerged as the new standard of picture quality for home entertainment with unrivalled detail, colour and contrast, as well as a far wider range of brightness than other video formats. The XE70 Series comprises a variety of Sony technologies to provide an exceptional viewing experience by bringing the best out of 4K HDR picture and delivering lifelike sound. Whatever content is displayed on XE70, it stands out with its clarity thanks to 4K X-Reality™ PRO powerful image processing. Individual parts of each scene are analysed and matched with a special image database that independently addresses texture, contrast, colour and edges to produce a more realistic image. Fast-moving sequences during sports broadcasts or action films remain smooth and full of detail thanks to Motionflow™ XR. This innovative technology creates and inserts extra frames between the original ones, compares key visual factors on successive frames, then calculates the split second of missing action in the sequences. 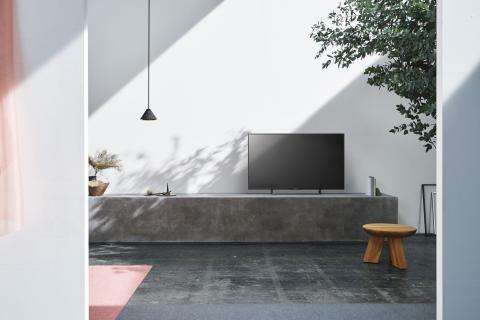 Sony equipped the XE70 4K HDR TV with multiple exclusive sound technologies. ClearAudio+ fine-tunes TV sound for an immersive surround experience that allows music, dialogue and effects to be heard with greater clarity and separation. With Digital Sound Enhancement Engine (DSEE), lost frequency components are restored for natural audio with a more spacious feel, which means catch-up TV or low-resolution Internet videos sound significantly better. Cinematic S-Force Front Surround creates proper volume, time lag, and sound wave spectrum – using only left and right speaker channels – to naturally emulate three-dimensional sound fields. 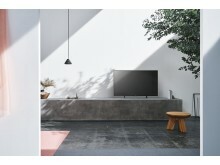 The Sony XE70 4K HDR TV series showcases a multitude of features to make TV watching even more enjoyable. Built-in Wi-Fi enables online access to enjoy films on Netflix or Amazon Video, video-sharing sites like YouTube and access on-demand TV, as well as browse the Internet via the built-in Opera browser. 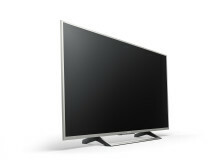 It also allows you to stream entertainment from a wireless home network and the Internet without the clutter of cables. 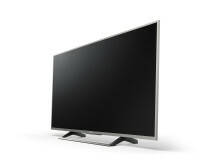 The TV has three USB ports conveniently located to the side which can be used to play digital content such as music, video clips or photos in a wide range of codecs from any USB stick. 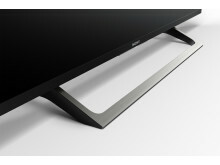 The XE70 Series has an elegant minimalist design with a narrow frame featuring an aluminium finish and a clever cable management solution that allows cables to be neatly arranged across the back of the TV and channelled into the unique stand for a tidy look.